Vietnamese midfielder Nguyen Quang Hai has won the vote for the best goal at Asian Cup 2019. Hai’s goal came from a stunning free kick in the last match of the group stage with Yemen. The goal received 105,139 votes, accounting for up to 49% out of the votes given to selected goals in the list. Hai was followed by China’s Wu Lei; Jordan’s Baha Abdelrahman and Qatar’s Almoez Ali. 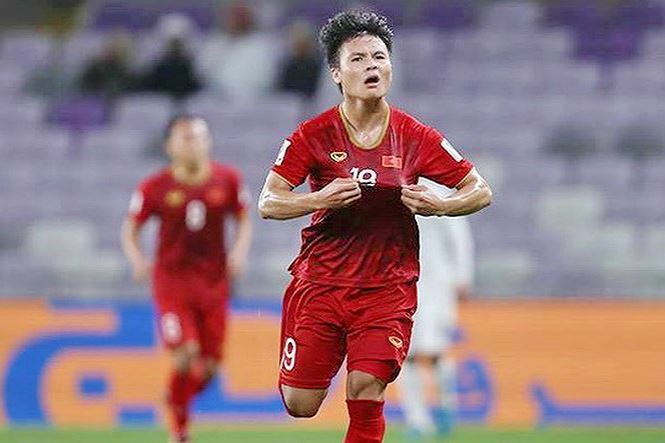 Earlier, Quang Hai was voted the best player of the group stage at the Asian Cup 2019. Hai was also named as the Most Valuable Player at the ASEAN Football Federation Championship that ended recently, where Vietnam were crowned champions. He was honoured as among Hanoi’s ten outstanding youth in 2018.